Posted in General and tagged building on Sunday, 3 February, 2013 by Paul. To continue from my previous post - don't you think this is just the strangest abandoned building? The perspective makes the wall look a lot higher than it actually is - it's only about 1 meter above ground level, with the rest sinking far down into the soft earth. What was even weirder was that (as I mentioned) the building is almost completely filled with extremely clear water. 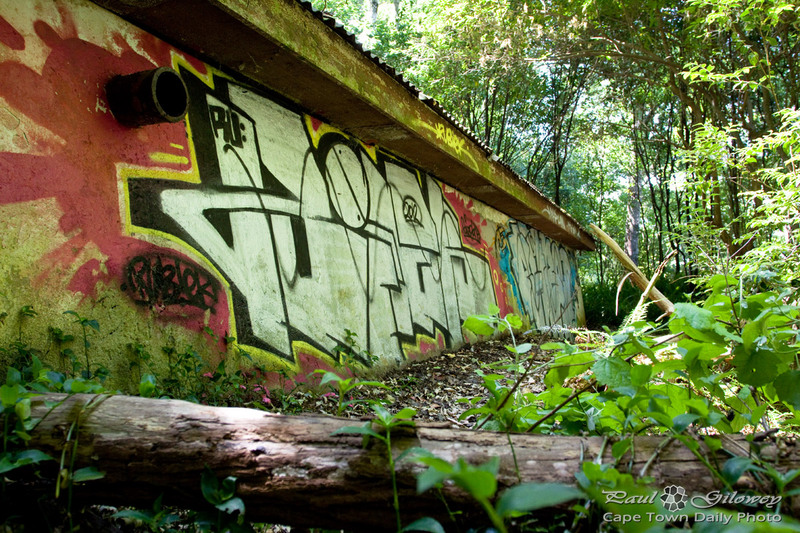 Posted in General and tagged building, graffiti, newlands forest on Friday, 7 December, 2012 by Paul. 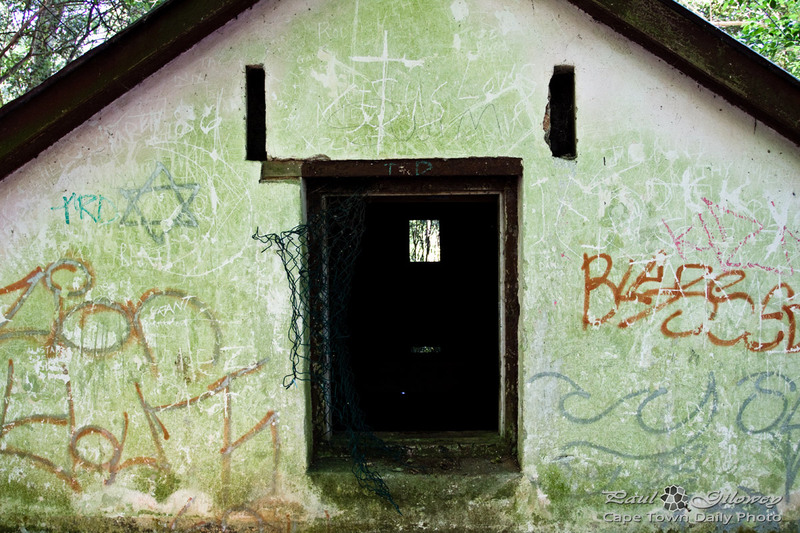 We came across this abandoned building in Newlands Forest. The interior was filled with water, almost up until this window, and the rest of the building (from just below the roof) was below ground level - almost as if it had been caught in a mudslide. It was very eerie - and I couldn't help thinking "Cabin in the woods". Posted in General and tagged building, forest, graffiti on Thursday, 6 December, 2012 by Paul. I visited this building more times than what I care to remember - almost 20 years ago. 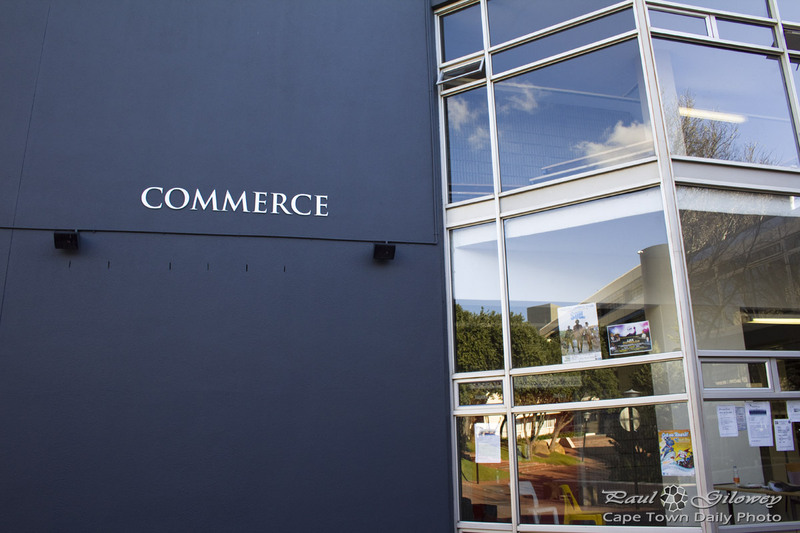 Back then it was part of Cape Technikon, which subsequently merged with Peninsula Technikon and was renamed to CPUT - the Cape Peninsula University of Technology. Posted in General and tagged building on Thursday, 30 August, 2012 by Paul. The building on the left in the photo backs onto Cape Town City Hall and is know as the Wooltru building in Corporation Street. While Wooltru is a huge company that (as I understand) is the cash shell of several other large corporates I've found it extremely difficult to find much useful information about them on the Web. They have no Wikipedia page and their www.wooltru.co.za site doesn't work and hasn't been indexed by Google. With the exception of a handful of financial articles on fin24.com there really doesn't seem to be much information that someone like myself (who is largely ignorant when it comes to cash shells, reverse takeovers, and other business strategies) would find useful. Please, if you know more than I do, would you mind leaving a comment to explain what Wooltru is about and how this all works? Posted in General and tagged building, business on Thursday, 9 September, 2010 by Paul. For some reason, and I honestly can't say why, I've never seen the back of the city hall! To help you get some perspective on where this photo was taken - the lower left corner of this photo has the Grand Parade in the distance. You may recall that I posted a photo of this building from a different angle a few months back. The last time I was in the City Hall was during the mid '90s. At that time it house the Central Library, and I remember spending time in a slightly stuffy, very cramped, slightly dark room that reminded me of a library that you'd be more likely to be visiting if your name were Harry Potter. Posted in General and tagged building, cape town on Thursday, 2 September, 2010 by Paul. I found this awesome photo taken of the building at night. Wow! Posted in General and tagged building on Thursday, 22 July, 2010 by Paul. Posted in General and tagged building, shopping on Tuesday, 25 May, 2010 by Paul. 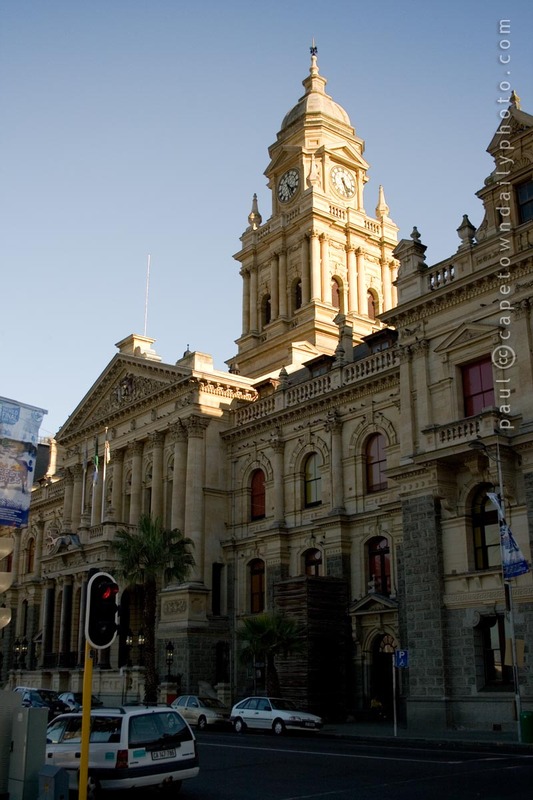 What you see here is the Cape Town City Hall, built in 1905. 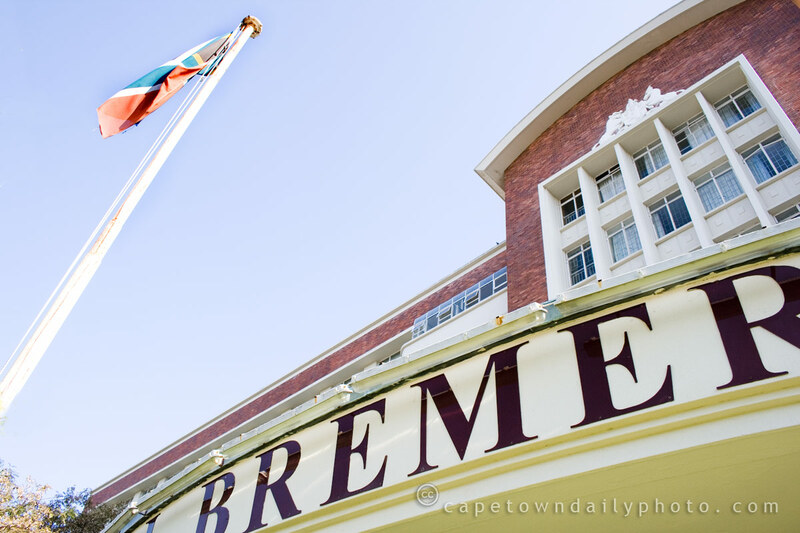 What makes this building special is that on 11 February 1990 this was the place that Nelson Mandela chose to make his first public speech after being released from prison! Friends, comrades and fellow South Africans. I greet you all in the name of peace, democracy and freedom for all. I stand here before you not as a prophet but as a humble servant of you, the people. Your tireless and heroic sacrifices have made it possible for me to be here today. I therefore place the remaining years of my life in your hands. Posted in General and tagged building, history on Sunday, 23 May, 2010 by Paul. 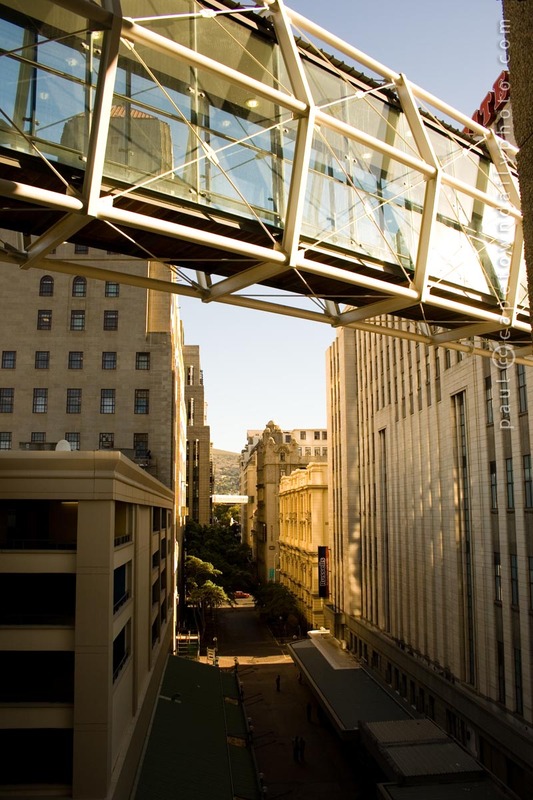 I took a photo of this uncommon view from the top of the Golden Acre building (map) in Cape Town. The road below is Castle Street that further on becomes Parliament Street, finally leading right to our parliament buildings. Posted in General and tagged building, road on Thursday, 13 May, 2010 by Paul. Thanks to everyone who left a comment on my previous photo. Allow me to give just one more clue before revealing the location of the building. 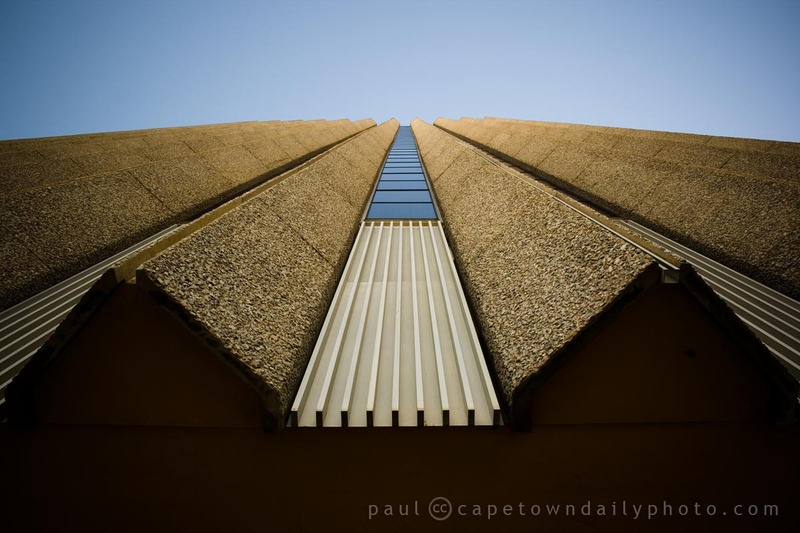 I took the photo above only a couple of meters away from the previous one, so if you're familiar with Cape Town, I'm sure you'll work it out quickly. Posted in General and tagged building, city on Thursday, 29 April, 2010 by Paul. Please indulge me, leave a comment, and try to guess which building this could be. 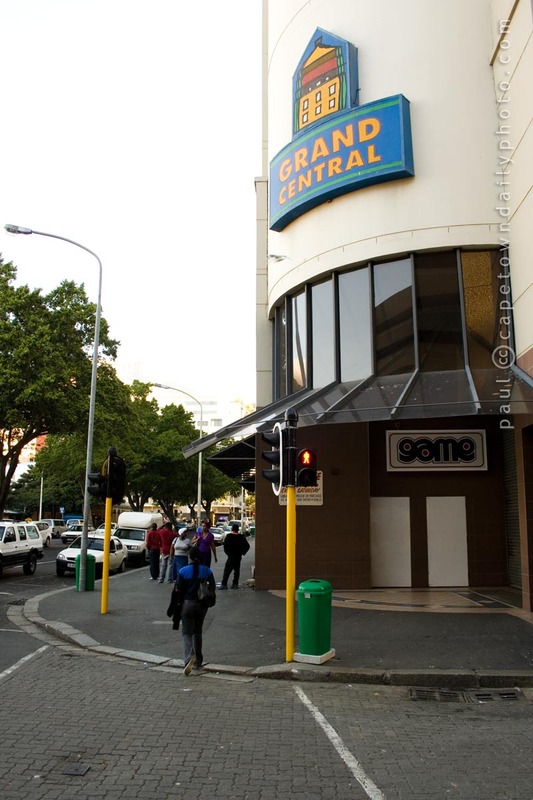 It's located in the city's CBD, the style isn't *that* common, and it's found on the corner of two major roads. Posted in General and tagged building, sky on Wednesday, 28 April, 2010 by Paul. Even though I can't argue that stained glass windows are pretty, I've never been much of a fan. 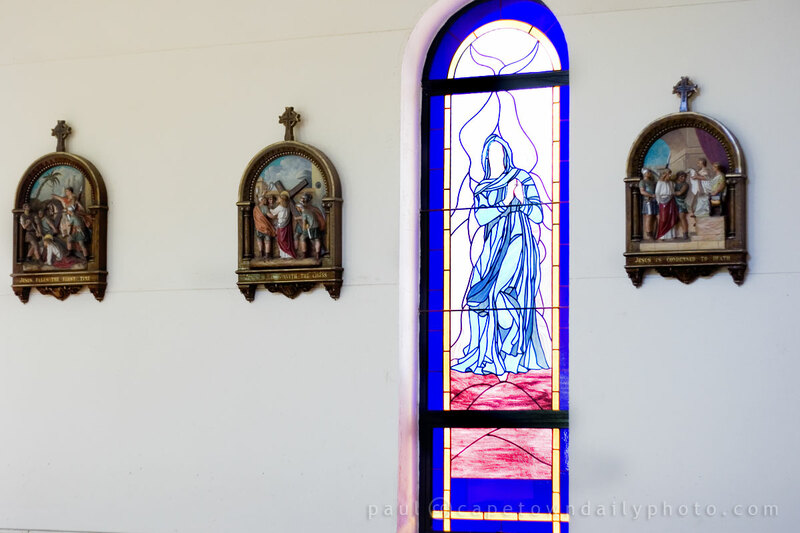 This particular church building had a few old stained glass windows, but also a couple of plain glass windows that look as though they'd been recently replaced. Presumably the stained glass equivalents were too expensive so the cheaper clear glass alternatives were used. Posted in General and tagged building on Saturday, 3 April, 2010 by Paul. 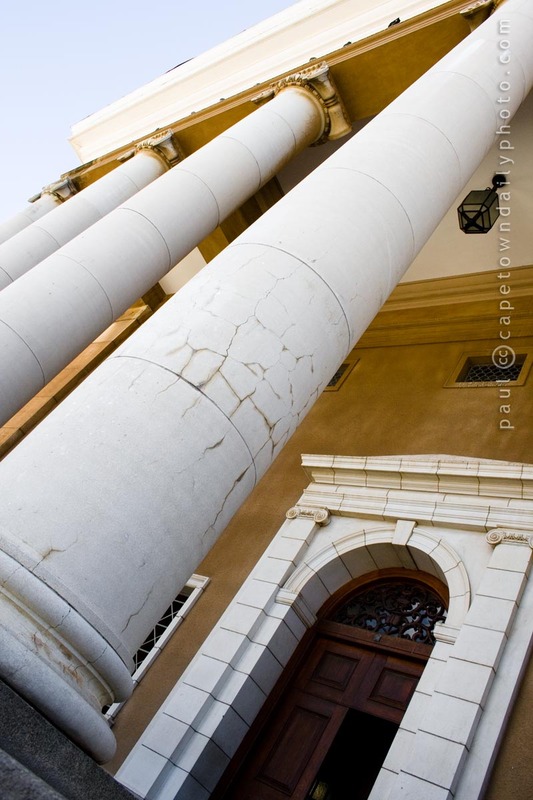 Jameson Memorial Hall on the University of Cape Town's (UCT) campus is an impressive structure that has as its backdrop the towering Devil's Peak and Table Mountain mountain range. 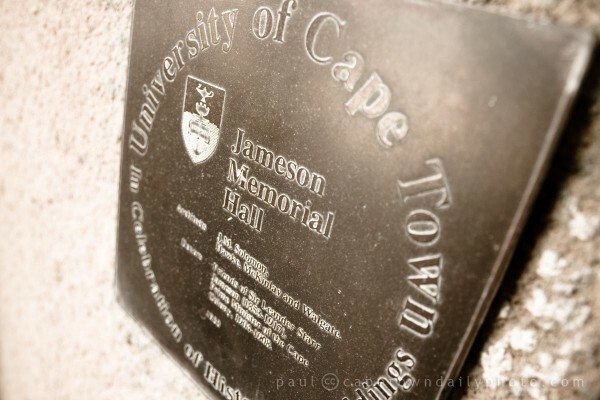 When I first saw the building and that it was a memorial to one Leander Jameson I wondered to myself what he'd done to have his name etched into the fibre of one of South Africa's most prestigious universities. The story basically goes that he was Scottish and practised as a doctor in South Africa. Jameson befriended Cecil John Rhodes and ran several missions for him to help establish Rhodesia (now Zimbabwe). Leander Jameson disobeyed the British High Commissioner and spear-headed the famous Jameson Raid on the Boer government. He was captured and forced to return to England where he was tried and spent over a year in jail. 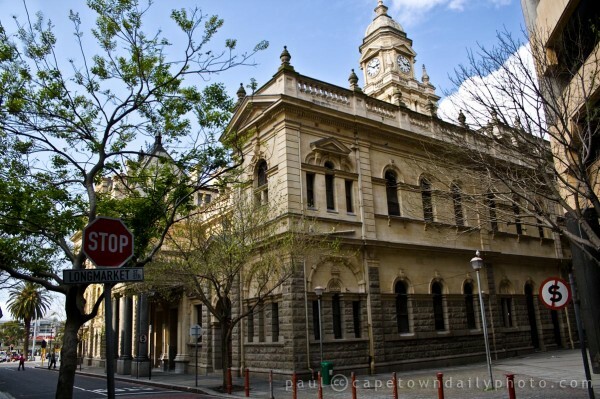 On his release he returned to Cape Town where he was elected to Cape Parliament in 1900 and became Prime Minister in 1904! Read more about Leander Jameson's story here. Posted in Sights and tagged building, history on Thursday, 21 January, 2010 by Paul. 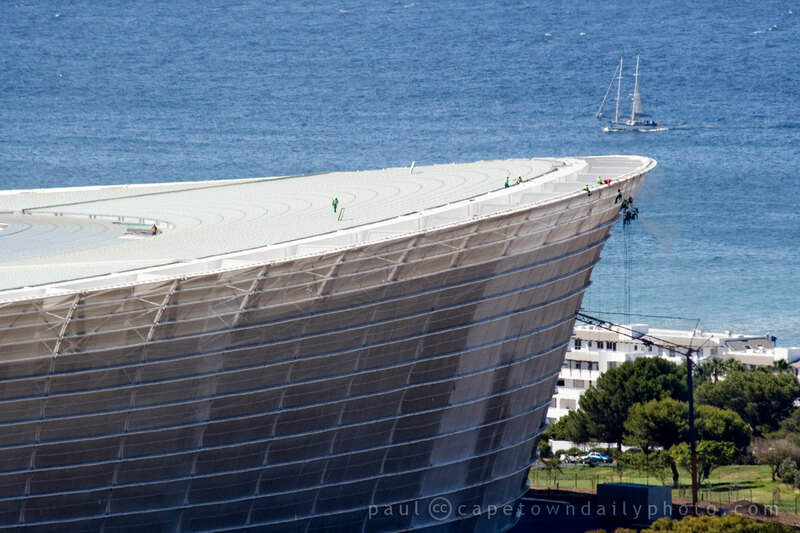 So, in my previous photo I showed a view of the Cape Town Stadium in all its majesty. 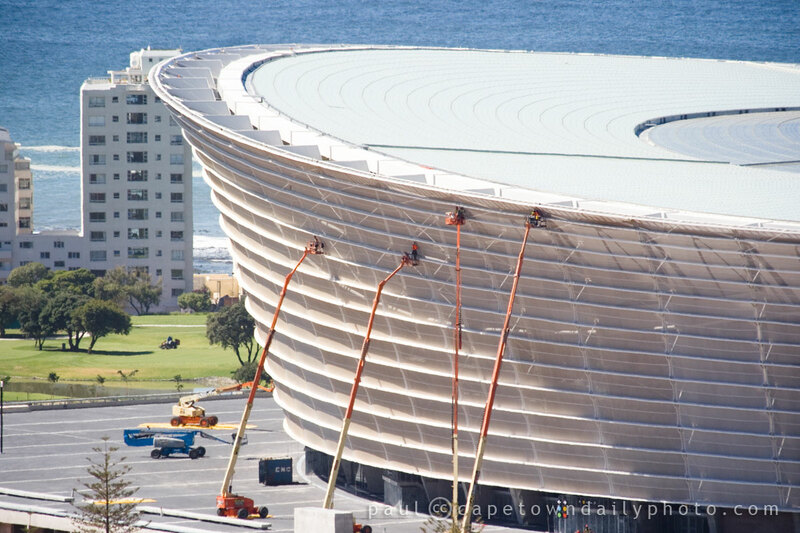 I zoomed in from the same vantage point (just above the highest road in Green Point) to capture this photo (and this one) of workmen furiously putting the final touches on the 68,000-seater grand structure. There were many South Africans (around the time of the announcement that the 2010 Football World Cup was to be hosted here) that were negative and said things like there's no way that we'd be ready to host the World Cup. They said that there was no way that we'd be able to build the stadiums required to host such a large event. Since the announcement we've seen several new roads, bridges and stadiums spring up out of the earth. With the World Cup only a few months away, there's still a lot to get done and time will tell whether or not our country was able to host such a large event successfully, and whether or not we'll end the month proud to be African. If I were to put my money on it, I'd say June's going to be a good one. Posted in General and tagged 2010 world cup, building, construction, sport on Saturday, 9 January, 2010 by Paul. 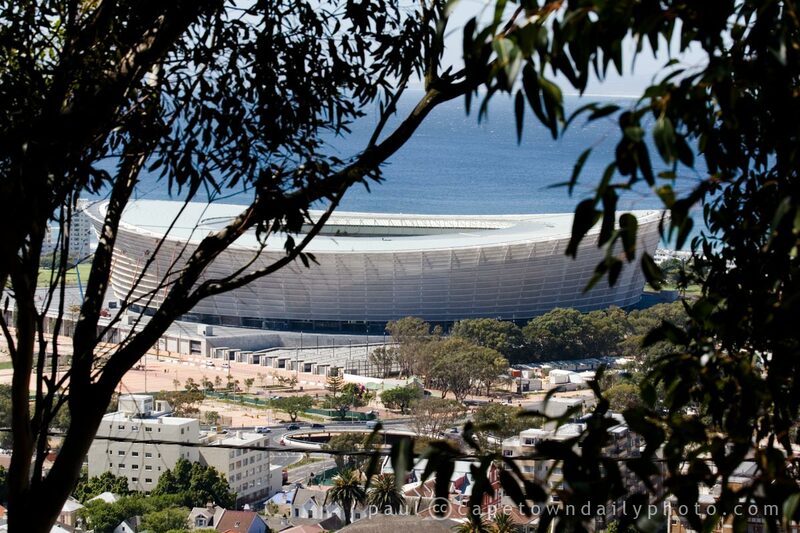 The predecessor to the Cape Town Stadium was known as Green Point Stadium. The old stadium was somewhat underwhelming when compared to the new one that you can see in this picture. Posted in General and tagged 2010 world cup, building, construction, history, sea, sport on Friday, 8 January, 2010 by Paul. Visitors coming to Cape Town get to choose from an amazing assortment of accommodation establishments - villas overlooking the blue waters of the Atlantic Seaboard, boutique hotels and casual backpackers' establishments in the city centre, sprawling estates in the rolling green winelands of Stellenbosch and Paarl, friendly B&Bs in the southern suburbs, penthouses at the V&A Waterfront, Victorian guesthouses on the slopes of Table Mountain (like this one)... I could go on and on. I'm generally most comfortable in a B&B with friendly (but not intrusive) proprietors (and nice linen!). A pretty garden or lovely view is likely to seal the deal. What's your preference when it comes to holiday accommodation? Posted in General and tagged accommodation, building, leisure on Wednesday, 23 December, 2009 by Kerry-Anne. 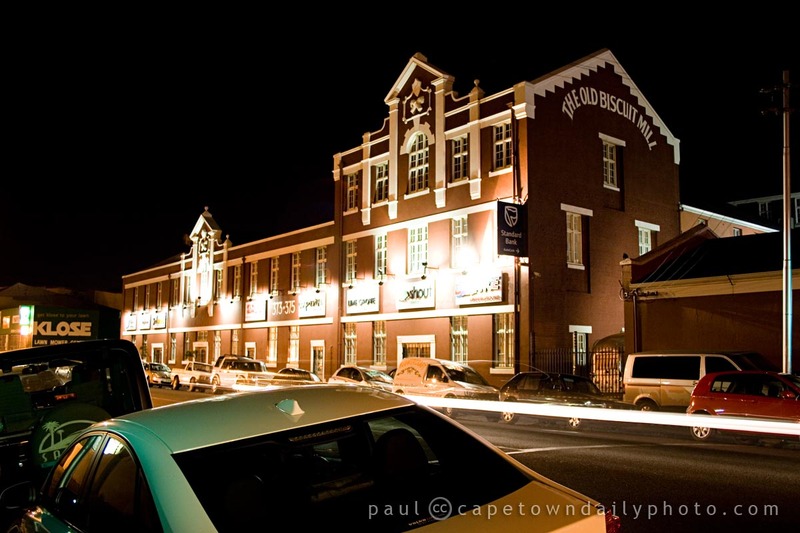 In 2007 I posted a photo taken at The Old Biscuit Mill in Woodstock. The mill looks pretty at night, so I thought that I'd post this photo taken from outside the premises and at the same time draw your attention to the awesome flash website that they've put together. Now, while I'm generally not keen on Flash sites, this one grabbed my attention because of the music playing in the background and the fair-like feeling that it conveys. While I'll not rehash what's special about the renovated mill (see their website, or my old article), in my next post I'll explain what was special about this evening and why I visited. Posted in General and tagged building, night on Thursday, 10 December, 2009 by Paul. Tomorrow is a beeeeg day in Cape Town. Just in case you didn't know, South Africa is hosting the FIFA World Cup next year. Yes... of course you knew that. 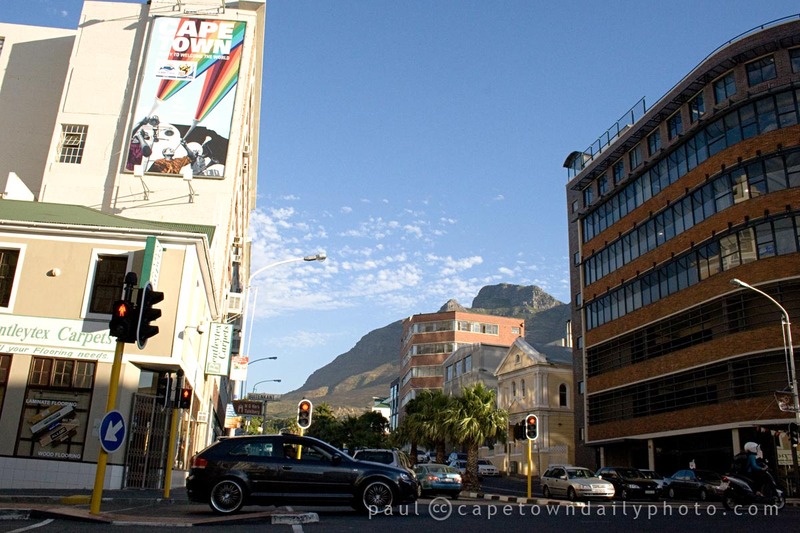 :) Have a look at the banner on the building to the left - it's one of a number of banners put up by Cape Town Tourism to promote Cape Town as one of the 2010 World Cup host cities. Anyhow, tomorrow is when we'll have our first glimpse of what we can expect come June next year. 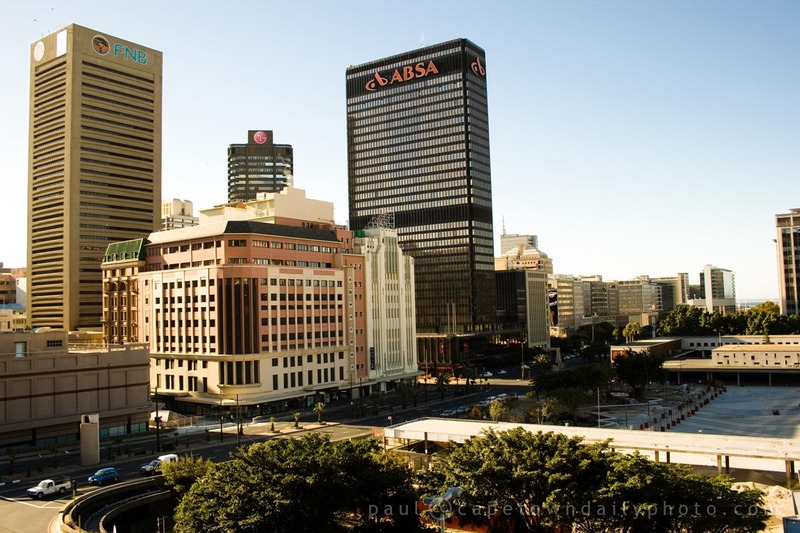 The final draw to determine the tournament groupings is taking place tomorrow in Cape Town, and the city is gearing up for quite a party. People have been hearing helicopters and fighter jets overhead for a few days now; someone spotted David Beckham having dinner at the One & Only Hotel this evening; and apparently Charlize Theron is in town. I don't think it would be melodramatic to say that there's a real sense of excitement and expectation hanging in the air. Posted in News and tagged 2010 world cup, building, celebration, celebrities, city bowl, concert, sport on Thursday, 3 December, 2009 by Kerry-Anne. 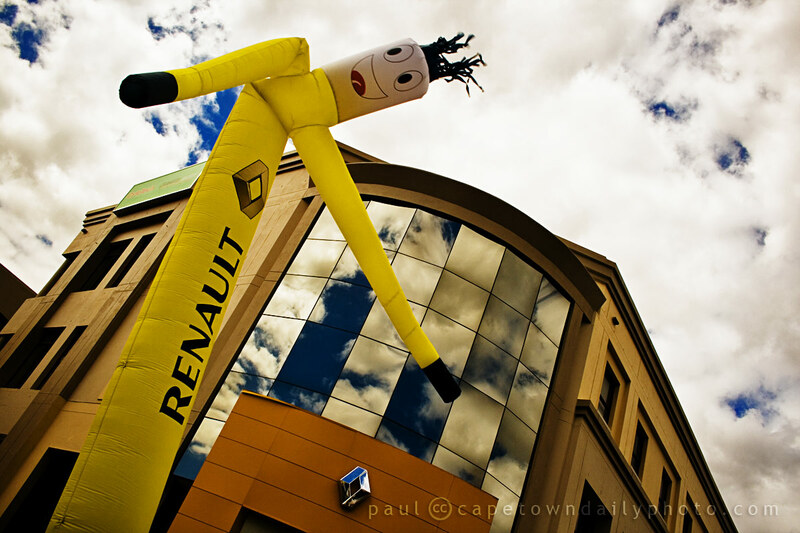 Sticking with the French theme of the past two posts, let me present Renault, a genuine French icon, and Bendy-Man, who I don't think is much of a French icon. The yellow man in the photo consists of few tubes of plastic with a high-powered fan below. The fan blows air through the tubes, keeping the guy standing. It's helluva amusing to watch him in the wind, because as much as the fan blows to keep him standing, the wind kinks the tube causing him to bend in all directions. Click here to see another photo. Posted in General and tagged building, car on Thursday, 12 November, 2009 by Paul. 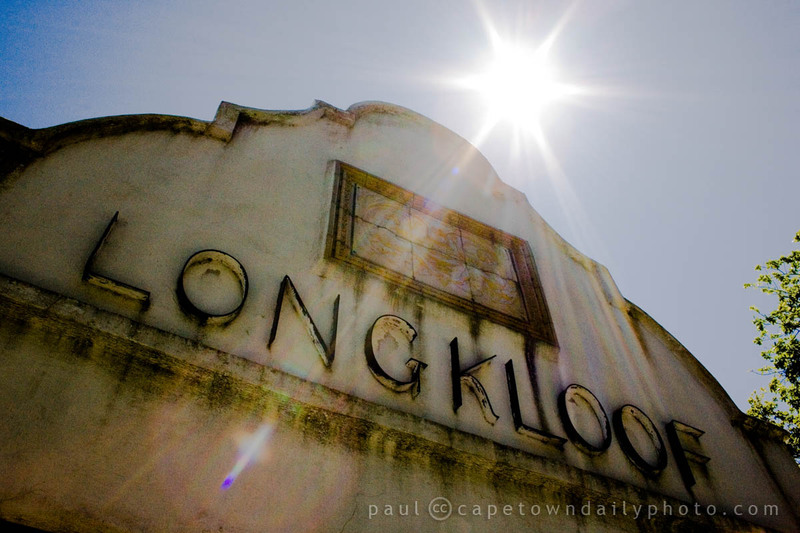 After reading what Paul had written about Longkloof in the previous post, my immediate thought was, "Pah! 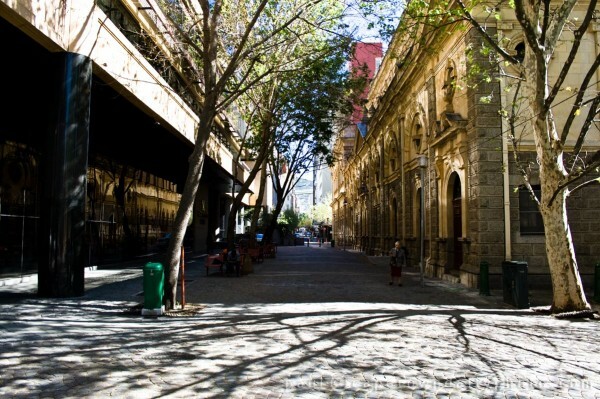 How hard can it be to find some information about this historical building? Must be all over the web, surely... he couldn't have googled very well..."
I had to eat my words, of course, after paying a visit to Google. 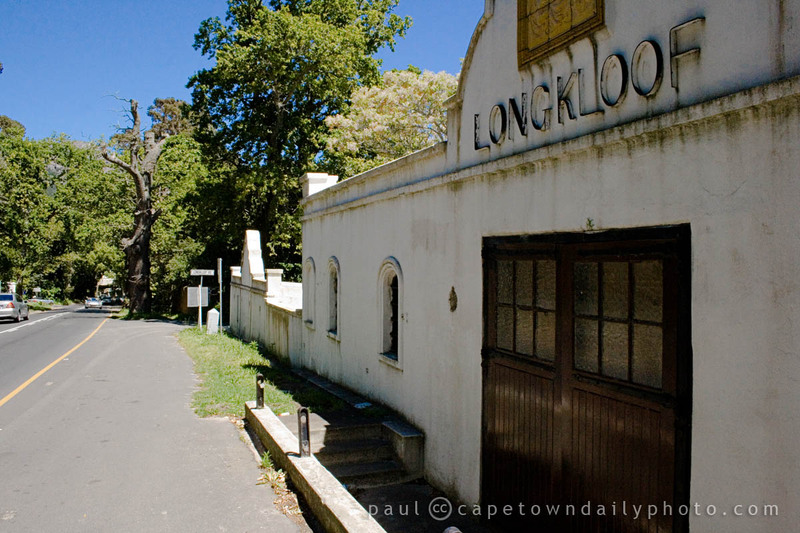 Plenty has been written about Longkloof the area, but I couldn't find anything about this building. I couldn't even find a photograph of it online, which surprised me, because I thought it was a fairly obvious subject for a photo shoot. I'm not one to give up when faced with a mystery, though, so I kept on hunting. I found this set of notes by Anne Lehmkuhl (definitely worth a read if history fascinates you), from which I was able to deduce that the building was once the wine cellar of the farm Groot Moddergat, and was built somewhere around 1841. But I wanted to know what the building is NOW. Not content, I kept going, trying a bunch of different search terms, until eventually I struck gold. Or rather... clay. Because, as it turns out, the building now houses... drum roll, please... A POTTERY STUDIO. It was no easy job to figure that out, let me tell you. And even once I'd worked it out using my superior powers of observation, I still couldn't find a single website to actually verify this information. So how did I know? Well, while Paul was taking photos of the building, I happened to notice the unusual fence adjoining the house, just off to the right of this shot. And when I saw this photo on the Longkloof Pottery site, I recognised the fence and wall immediately. Now, please don't go knocking on the door and demanding to see the pottery - judging by the lack of information on the web and the lack of signage outside the property, I'm guessing that the talented resident potter, Yogi, would prefer to keep his studio a sanctuary. (And a pretty awesome sanctuary it must be too!) Visit his website to see more of his remarkable work and find out how to contact him. Posted in General and tagged art, building, history on Monday, 19 October, 2009 by Kerry-Anne. I don't know for certain what this building is, but to me it looks like a homestead built many, many years ago. 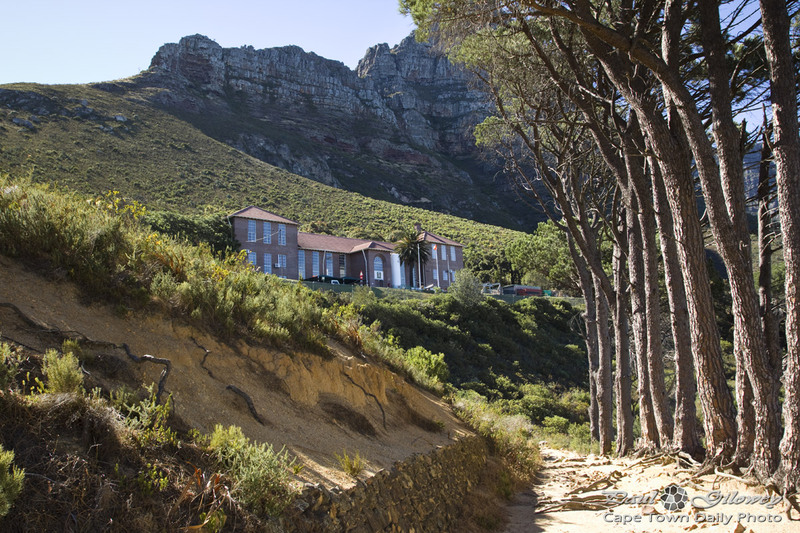 We discovered it almost by chance while driving down Hout Bay Main Road, from the circle next to Constantia Nek Restaurant towards Hout Bay. The particular road on which it's located is kinda narrow and there's so much to see that, even though it's right on the roadside, it's easy to miss. I didn't want to scratch around too much, and there didn't seem to be any clues as to what the building was, or had been. 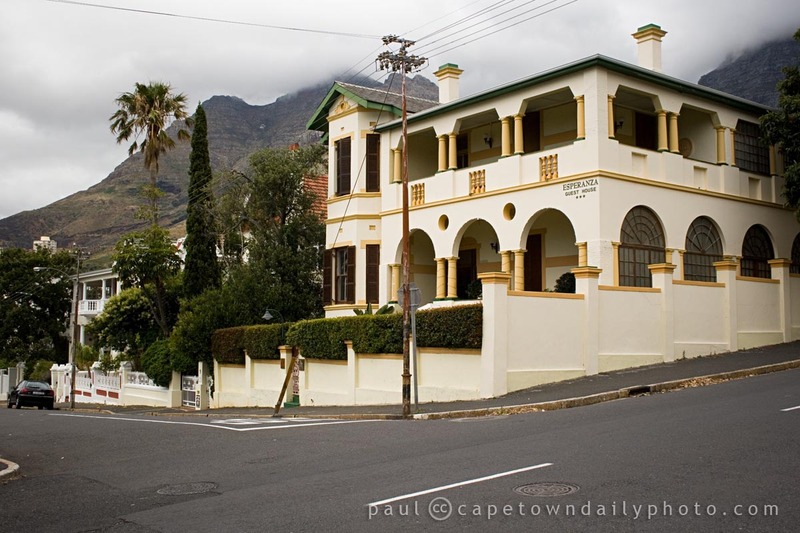 Please be so kind as to leave a comment if you know something more about the building, other than that it's found in Longkloof, Hout Bay. Posted in General and tagged building, history on Sunday, 18 October, 2009 by Paul. Posted in General and tagged building on Monday, 7 September, 2009 by Paul. A few people who commented on the photo posted yesterday were correct in guessing that the shot was taken in a hospital - a government hospital, Karl Bremer, to be exact. 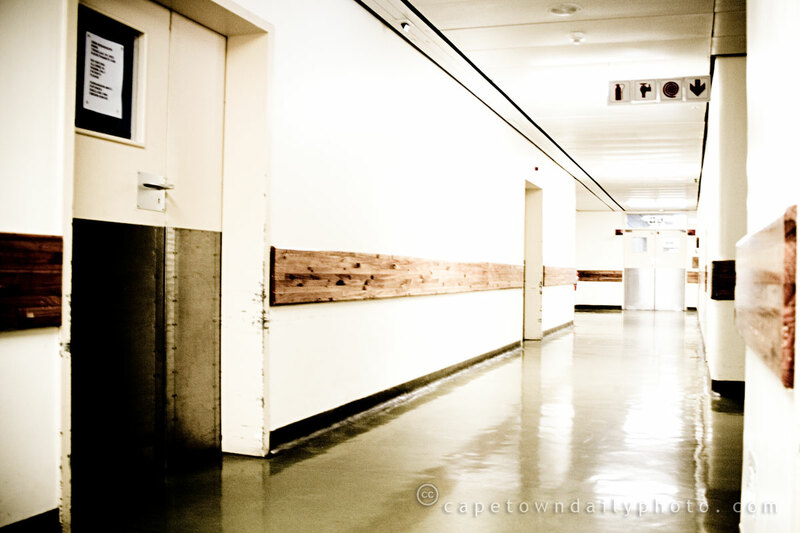 As I walked the corridors on Friday afternoon, I recalled that the last time I'd been in the hospital was when my sister was born, about 30 years ago. I was very young at the time, but I remember sitting in the waiting room while my dad visited my mom, who'd just given birth. There was less excitement associated with this visit though. My 70-year-old dad suffered a heart attack at about 12h00 while he was doing some hard labour trying to find an underground water leak at his home. My mom took him through to the doctor, who immediately called an ambulance, realising that my dad's condition was life-threatening. Upon arrival at the hospital his heart in fact stopped, but fortunately the doctor attending to him in the trauma unit managed to massage his heart back to life. The next few hours were tense as we waited for the drugs to take effect; and by the grace of God he managed to pull through. - Admission to the trauma unit (from the ambulance) is fast. - The process to follow at reception is confusing and slow. - The trauma doctor on duty was knowledgeable, courteous, and professional. - The sisters in the trauma unit were firm, yet lenient enough, and professional. - The sisters in the ICU were well-organised and paid close attention to their patients. - The building was neat, but old and in need of renewal. - The security staff were friendly and helpful. Posted in General and tagged building, govenment on Friday, 14 August, 2009 by Paul. You may have noticed that we've been struggling to keep up to date with our daily photos. Plenty has been happening on our side to keep us busy and otherwise occupied. 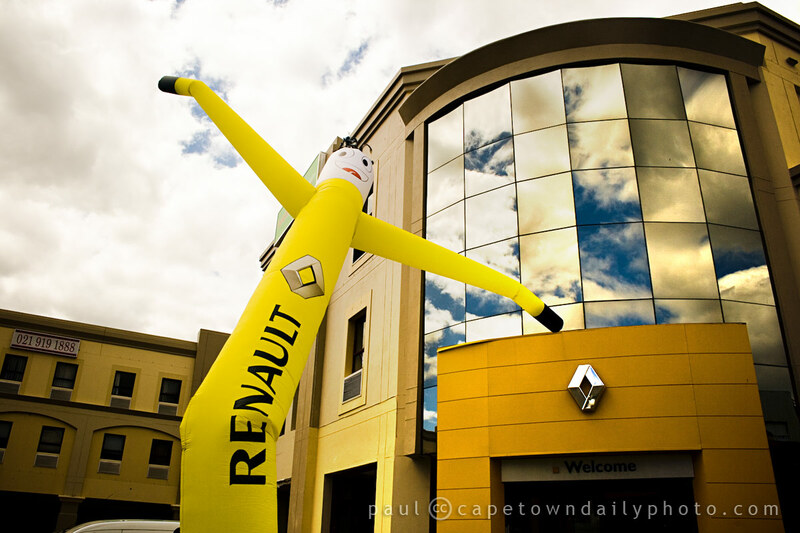 Sometimes I wish that I'd known the consequence of calling this website Cape Town Daily Photo. :) At other times, I'm really glad that this site has a photo for each day of our lives. It's awesome being able to page back through your life a day at a time. To date we have about the last two-and-a-half years represented, with a single photo for each day. It's really awesome; you should try it! Okay, so I'm now catching up, and this photo leads into my post for tomorrow. So pray do tell, if you're able to guess, where do you suppose this photo was taken? A school hallway? A prison? Posted in General and tagged building on Thursday, 13 August, 2009 by Paul. 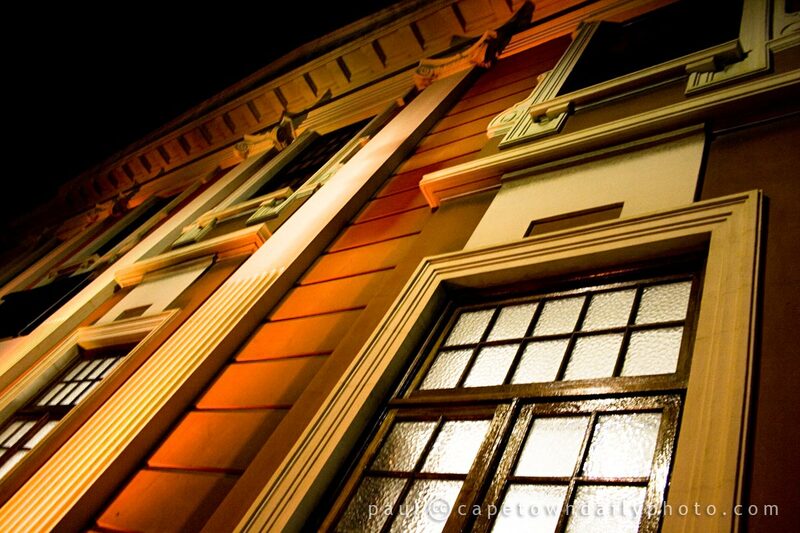 I found this building in Zonnebloem, just outside the CBD, and right next to Charly's Bakery. 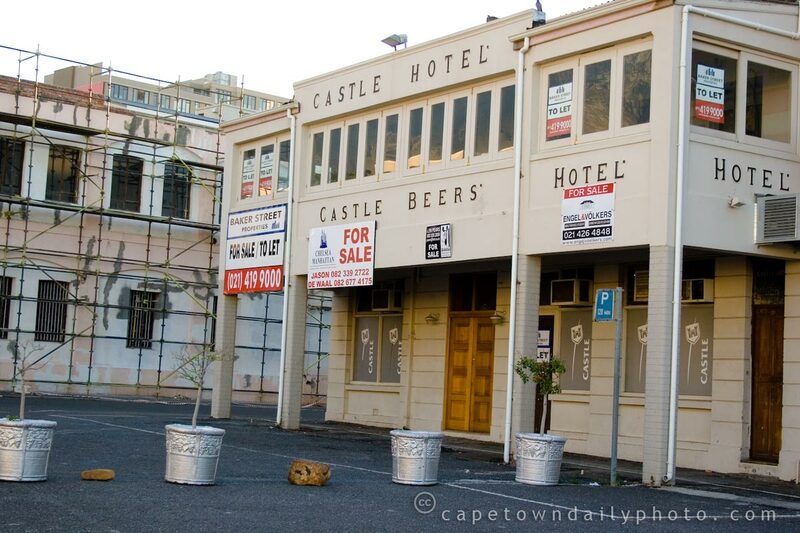 What caught my attention was the hotel's apparent affiliation with with Castle Lager (a widely loved South African beer for which I sincerely have little taste, but that my father-in-law loves). What gave this affiliation away was the lettering's font, the insignia on the windows, and the huge "Castle Beers" sign on the front of the building. Must say, I find it strange that a brewery would have their own hotel... After googling the name I discovered that not only is this building for sale, but the old Castle Brewery in Woodstock (on the fringes of the city) is also for sale. 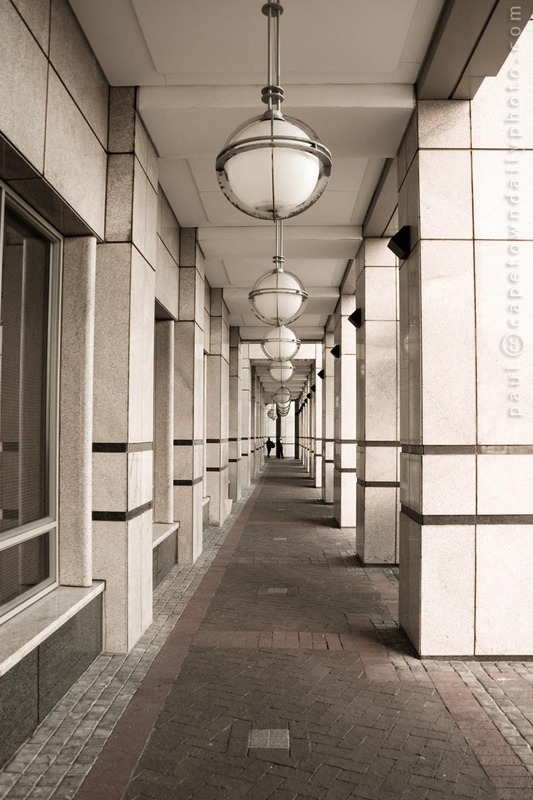 Posted in Street photography and tagged building, hotel on Wednesday, 6 May, 2009 by Paul.